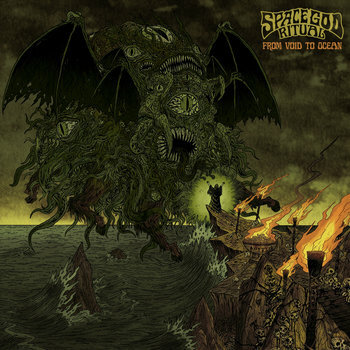 666MrDoom: From Void to Ocean by Space God Ritual.Space God Ritual's 3rd album attempts to embody the darkness, mystery and horror of H.P Lovecraft's imaginative and macabre writings. Each track, from Aeons Upon Aeons to Yithian Overlords, seethes with auditory gloom and atmosphere. We invite the listener to come with us on a journey of unprecedented horror and ever impending doom. Αναρτήθηκε από MrDoom στις 11:26 π.μ.